We create unique gaming experiences that get people rubbing their hands together with excitement. We played these games as kids. We play them now with our kids. Come see us at Booth #6116 at the NY Toy Fair! Debuting in 2006, this line encourages kids to get up and move while playing by their own rules. These "off the board" activities are loosely structured games that spark imagination for Ages 4+. 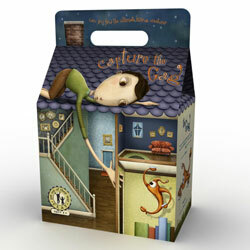 This is a hide and seek game that comes to life with your child's imagination. With this adventure-building activity, your child creates a trail of arrows through your home past make-believe obstacles like rushing rivers, fallen logs, and boiling mud. The path they build leads the other players on a journey to get the Gem! You and your friends split into two teams, put on your color wristbands, and unfurl your flag. Each team hides a Gag for the other team to find. Will you be the first to find the ultimate hiding creature? Rubbing Hands also offers alternative fare for the alternative set. More than a game, this is collectible pop art for Ages 13+. Know the feeling of getting out an Ouija board at midnight? Or of playing Truth or Dare after school? 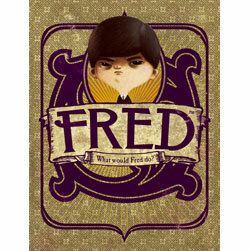 FRED is a game with that same spirit of mischief. It's an hour of harmless bad behavior and foolishness. Inside is a Deck of Tests that contains seventy-eight challenges. Some involve nothing more than stretching out and relaxing. Others require acts of humiliation, torment, and revulsion. The last player standing wins. �1996-2007 ToyDirectory.com, Inc.(R) All rights reserved. All logos, brands, and product names listed are trademarks and property of their respective holders.